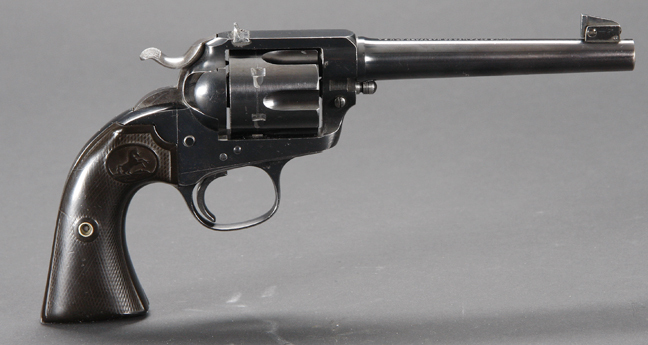 This Colt Bisley manufactured in 1909 has not yet been worked on by Turnbull Restoration & Manufacturing Co. 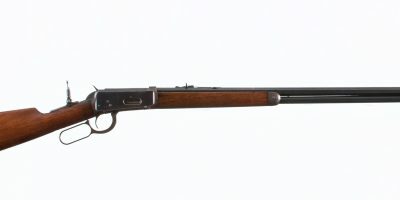 When this Bisley left the factory it was a 32-20 with a 7-1/2″ barrel with the flat top target configuration, and at some point it was converted to a Sheriffs Model 38 Special. The ejector housing was removed with the location area on the receiver being ground off. 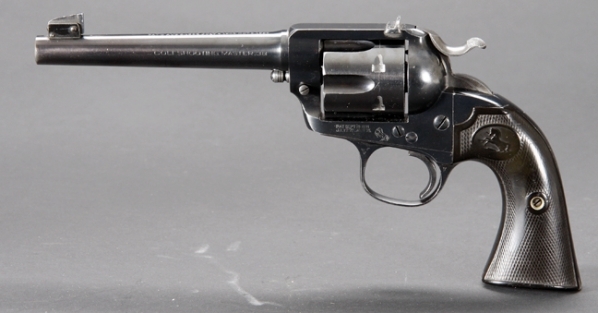 The current 5-3/4″ barrel is a Colt Shooting Master 38 target barrel. 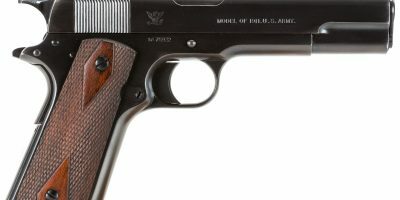 There is a hole in the trigger which was most likely for an over traveled screw. 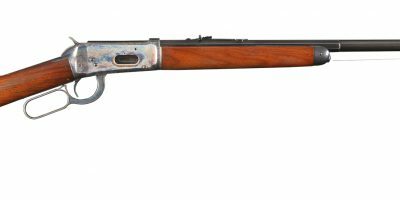 The proper charcoal blue finish that is on the gun is not the factory blue.